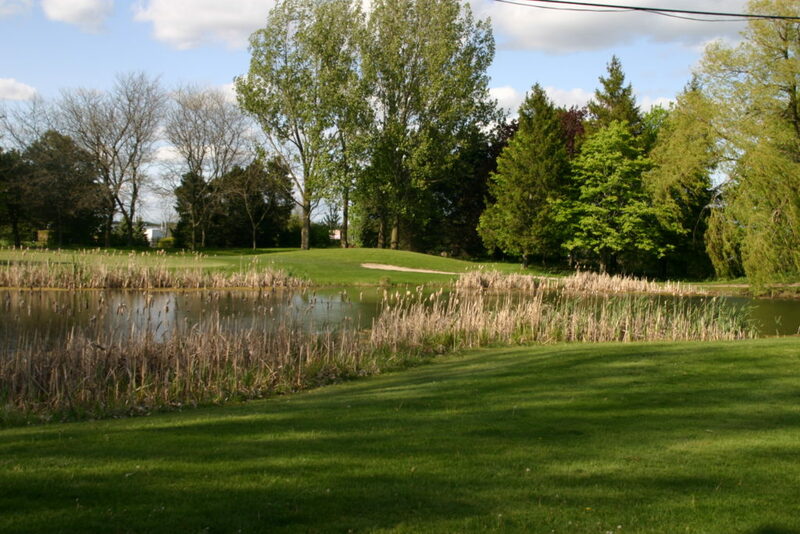 The Local Planning Appeal Tribunal (LPAT), in their decision issued April 19, 2018, allowed the appeals in part of Steeple Hill On The Lake based on the failure of the Town of Ajax to make a decision respecting their application to develop a cemetery on an 8.8 hectare portion surplus land of the Carruthers Creek Golf Course located at 650 Lake Ridge Road in Ajax, Ontario within the specified timelines. At issue were four development applications: An application to amend the Town of Ajax Official Plan, an application to amend the Town of Ajax Zoning Bylaw, an application for Site Plan Approval to implement the proposed cemetery, and an application for consent to sever the parent property into two parts creating a separate property for the cemetery, including a request for a permanent easement to consolidate access to the Golf Course and the proposed cemetery. Land use planning evidence was led by Michael T. Larkin, M.Pl., MCIP, RPP, Principal of LARKIN+ Land Use Planners Inc. for the appellant, and by Mr. Geoff Romanowski, the Town’s Supervisor of Planning Department Approvals. Both gentlemen were qualified by the Board to provide independent expert opinion evidence in land use planning. In addition, evidence for the appellant in hydrogeology and ground water impacts was provided by Mr. Glen Reynolds, a Professional Geoscientist with SLR Consulting (Canada) Ltd, and evidence in ecology was provided by Ms. Dale Leadbeater, a Senior Biologist and Principal Ecologist also with SLR Consulting (Canada) Ltd. It is noted that the parties were able to reach a settlement before the commencement of the hearing, on all matters pertaining to the proposed development. At the hearing Mr. Larkin provided the majority of the land use planning evidence with Mr. Romanowski providing summary evidence to confirm his support and agreement. Four Participants provided input in opposition to the proposal. In its decision The Tribunal was sympathetic to the impact that a change of use, especially from a golf course to a cemetery, can have on a neighbour’s personal perception of their local area but was not convinced by the Participants that the Proposal should be refused. The Tribunal opined that the Participant’s concerns are based on an apprehension of problems, as opposed to evidence of problems or reasonably predicted problems, and are offset by the other evidence presented. The Tribunal accepted the evidence of Messrs. Larkin, Romanowski and Reynolds and Ms. Leadbeater and relied on it in making its findings and decision. 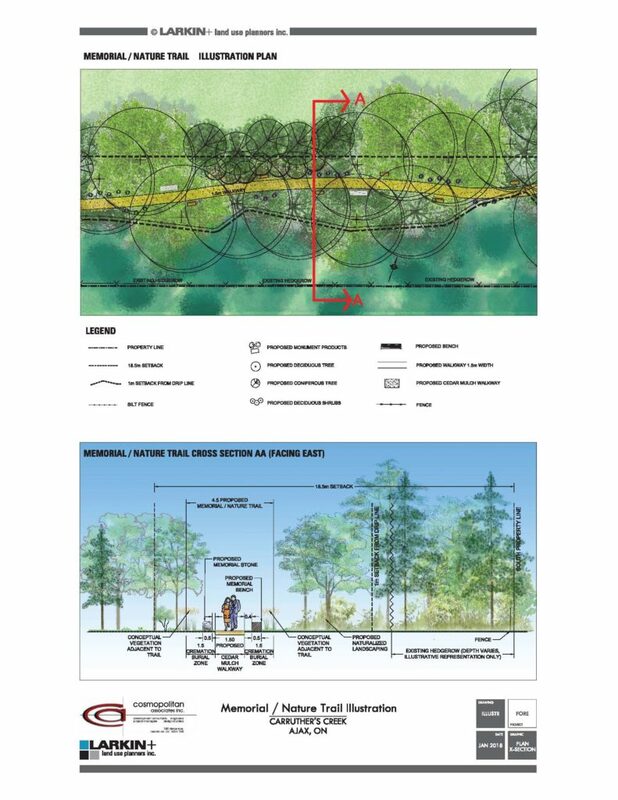 Although the hearing was convened and conducted by the Ontario Municipal Board (OMB), the April 19th, 2018 decision was issued by the LPAT following its proclamation by the Province of Ontario. The decision clears the way for the finalization of the Site Plan Agreement between the parties, and the construction of the Cemetery.